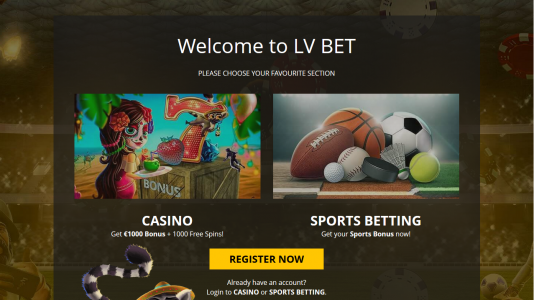 "Relatively new well run casino"
LV BET is a relatively new operation owned by Fairload Ltd and is licensed in Malta and the UK. The have a very good selection of games to include Microgaming, Netent, Thunderkick, Play n Go, Pragmatic Play, Novomatic, just to name a few. 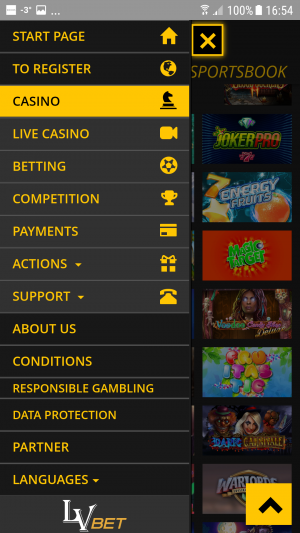 They also offer sportsbetting for you sportsfans. They also support a load of languages – which is a good sign that they may be planning to increase their exposure to other European markets. Signing up is rather easy – you don’t need a mobile to do so, so it’s user friendly for oldtimers who have old phones and can’t be bothered with text messages. The casino is untested by our Meister Minions, so watch this space if you want up to date info on payout times. For now, they are claiming up to between 12 and 15 hours payout times with a up to same reverse timeframes. They have a 5K per day withdrawal limit – this may turn off the big spenders, but for many players this may not be to much of an issue. Again – this may change once the casino becomes more established. Withdrawal lock option is available – player needs to contact support and request his or her withdrawal to be locked. The attempted and passed our Baptism by Fire – and I have to admit it went along very smoothly. Quite a number of our members had some pretty good things to say about them. You can read about their experiences here: LV Bet Baptism by Fire. For those of you who do not know what our Baptism by Fire is, it is where our members test a casino for 60 days or more to see if they are worthy of being Accredited by Casinomeister – which LV Bet Casino is. 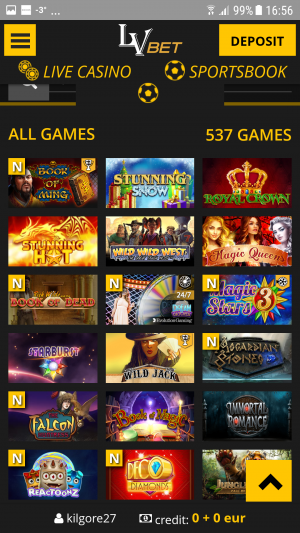 They have a great selection of mobile games – over 700 games – and they offer live games and sports as well. Chat and E-mail in English, German, Polish every day from 8 A.M. to 11:00 P.M. (CET). Phone calls in English: Contact Support Team daily between 10 A.M – 8 P.M. (CET). 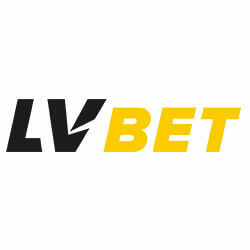 LV BET Casino Terms and conditions Apply. 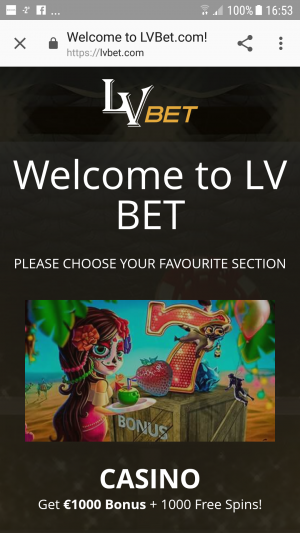 LV Bet is properly licensed in Europe to include the UK. They have an excellent assortment of games and even offer sports. There have just passed their BBF period and seems to have relatively no issues – they passed with flying colors – no complaints.